Home > Institute of Alternative Careers > What is Music Therapy? The concept of Music Therapy is not new for Indians. 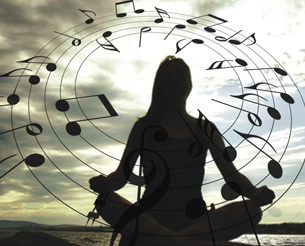 As agreed by many, Music Therapy (MT) is referred as 'Gandharvaveda’ in Ayurveda. Some references about particular ragas treating particular ailments are also available. However many contradictions were also observed between them. Hence, one who wants to use music as therapy should perform his own experiments, his own experience will help to develop Music Therapy. Scientific studies reveal that music is useful in relieving confused minds and distressed personalities. MT has a definite place in psycho behavioral medical treatment concerning the patients' personality, temperaments, habits, passions, characteristics, general reactions to music. Music Therapy is an interpersonal process in which the therapist uses music and all of its facets to help improve or maintain health of self or the benefiter. Music Therapy can be used with individuals of all ages and with a variety of conditions, including psychiatric disorders, medical problems, physical handicaps, sensory impairments, developmental disabilities, substance abuse, communication disorders, interpersonal problems, and aging. It is also used to improve learning, build self-esteem, reduce stress, support physical exercise, and facilitate a host of other health related activities. Music Therapy restores, maintains and improves emotional, physiological and psychological well being. The articulation, pitch, tone and specific arrangement of sur (notes) in a particular raga with required modifications stimulates, alleviates and cures various ailments. Music therapy harnesses the power of music to assist in personal expression and self-development.